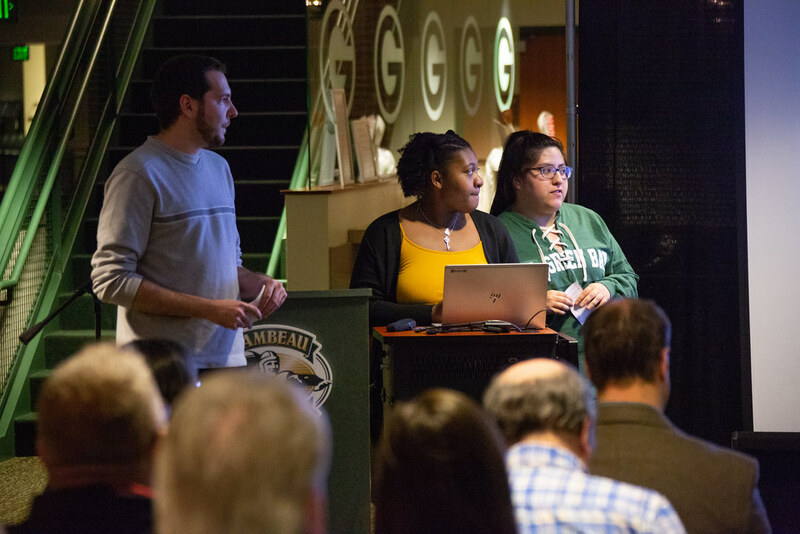 This semester, UW-Green Bay History, Democracy and Justice Studies, and Humanities students and faculty, collaborated on an exciting project to document the history of the Green Bay Packers as the franchise celebrates 100 years. 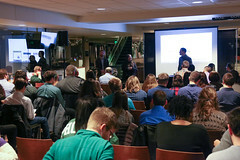 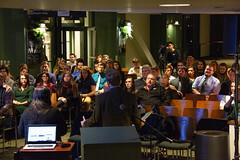 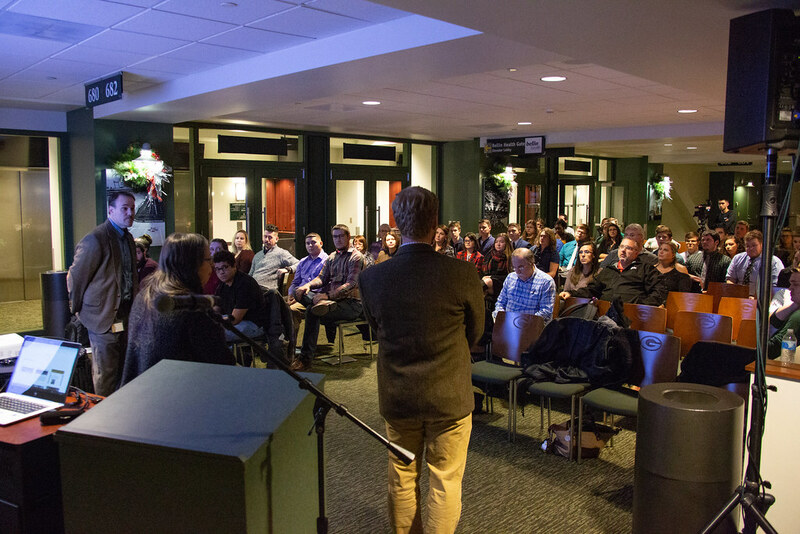 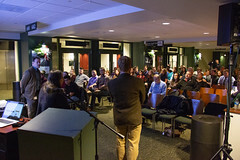 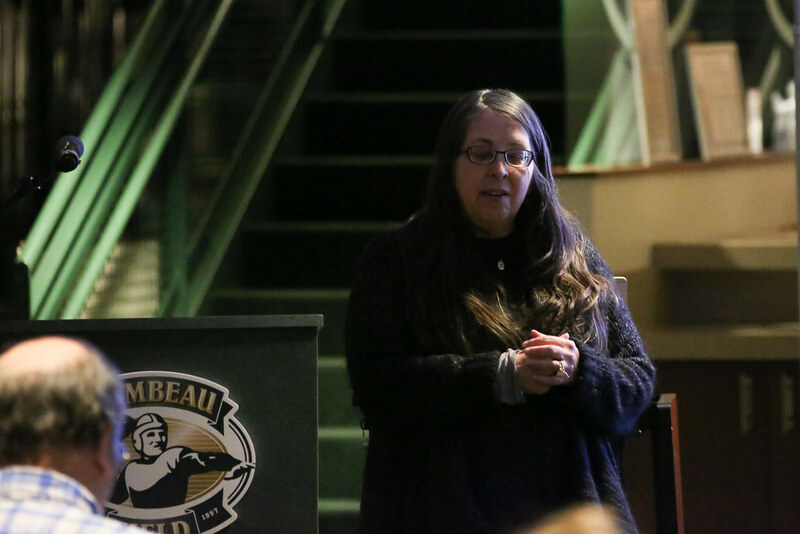 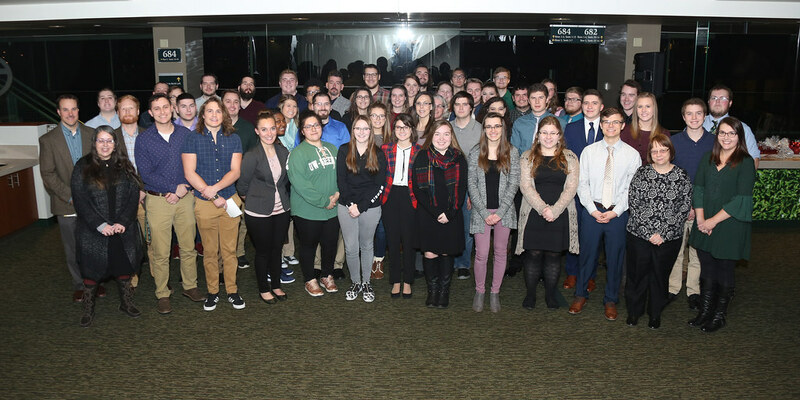 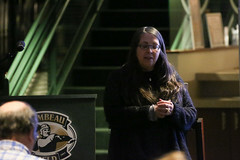 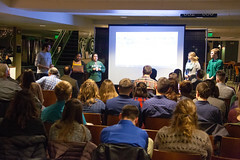 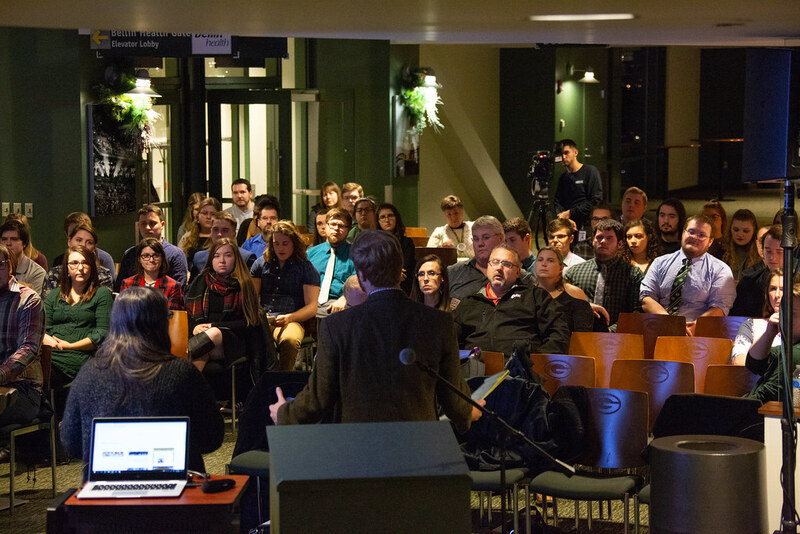 The students presented their findings at a public presentation at the Lambeau Field Atrium, Wednesday, Dec. 5, 2018 from 5 to 7 p.m.
Student projects covered a wide terrain of Packers history. One project created by Grant Fischer, Kilian Carlson, Jamie Stankevitz, Rich Rehberg and Fisher Stathes, for example, explains how the Packers revolutionized professional football by deepening the use of the forward pass. 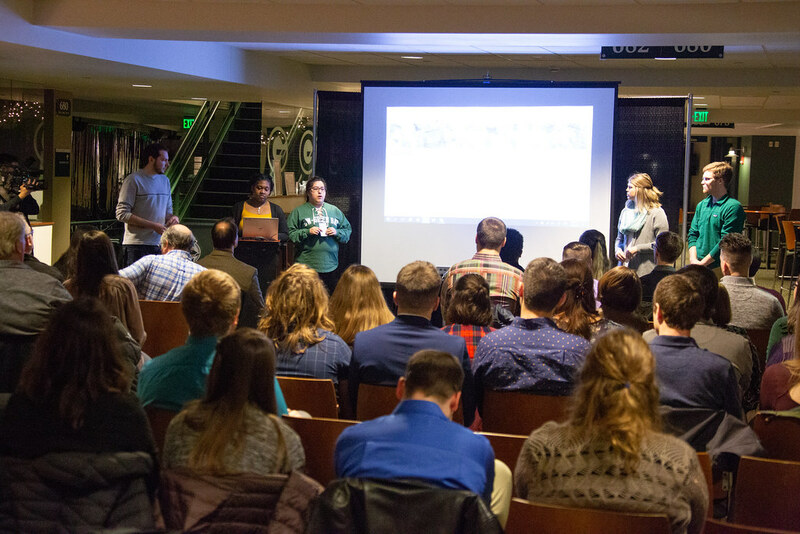 Another, developed by Madeline Cichoki, Gwen Drumheller, Joseph Karrmann, Rachel Scray and Emily Bork, draw on the Lyle Lahey cartoon collection to show how the Packers were integral in how Green Bay residents understood national politics.